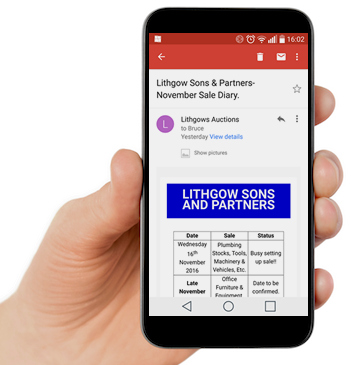 Lithgows Sons & Partners specialise in arranging and conducting auctions of all forms of industrial and commercial goods and properties, either on-site or from our Auction Houses in Stokesley in the North East of England. In addition, we provide Asset Valuation and Disposal, Commercial Property Valuations, Residential Property and Storage Services. We also act as a Commercial Property agency for properties throughout the region including shops, offices, licensed premises and industrial properties. In our web site you will find details of all our services. Below you will find listings of up-coming auctions in Cleveland and throughout the North East of England.